Home security means security of human beings and house hold items including valuable articles. The burglars and intruders apply many tricks for intrusion in the house. Mostly these intruders make intrusion during night and in off hours of the day that is in the noon. Electronic devices like security systems, alarms, cctv cameras etc. are used for security measures. A house owner should also think about some additional protective measures that can be easily implemented by making some additions or alterations to the house and by keeping watch in surrounding area of the house. Let us talk about protective measures to be adopted by making some changes to enhance security of the house. The following are some approaches of defensive measures. 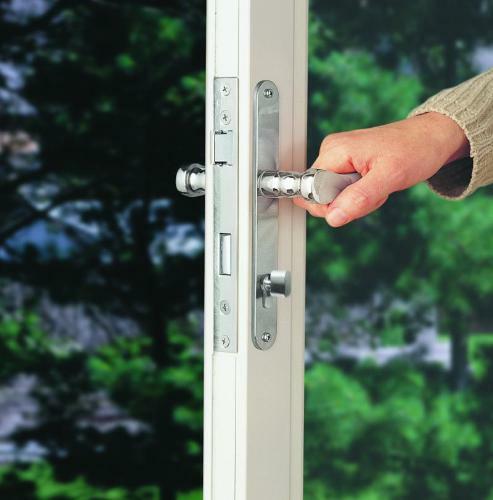 Generally we provide pad lock at the door for safety but now a day pad lock works as a signal to the intruder indicating that house owner is away. 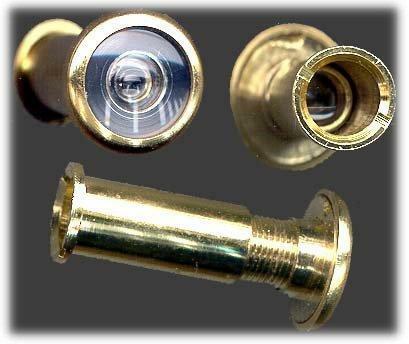 The burglars/intruders make their planning to break in the house if they see a pad lock for a few days. To avoid this, good quality hidden locks should be provided at main gate and even at internal gates too. Hidden locks are harder to break as compared to pad locks. In metropolitan cities and towns the intruder may come in the house through door for theft purpose. To avoid this door viewer should be fixed in outer door. When any outsider/stranger giving a call bell for opening doors, we can see the person standing outside through door viewer. Collapsible door is also safety measure. By providing collapsible door/gate you can easily see the person coming to the house. You can talk to the person easily, take and give some small articles if it is necessary through locked collapsible door. Sometimes fake postman or courier man comes to home with the aim of theft. If collapsible door is provided, you need not to open the door. In this way the intruder fails in his plan. In case when both male and female are in service and children are school goers, they select some common place outside the house for keeping key of main door. This procedure helps intruders to access into the house. To avoid this problem always keep separate key for each person. To protect house from intruders security grills should be provided. The grills should be thoroughly welded not by touching only and all horizontal bars should be welded completely to each other by welding in full width. The grills and welding are not weak; which can be easily breakable by hammer. These iron grills should be fixed on wooden ‘Chowkats’ by iron screws tighten fully in countersunk holes. Care should be taken that top part of screw should not remain outside the frame; otherwise intruders can loose screws which lead to grills coming out completely. In case of iron windows grills should be welded at a distance of 9 inches horizontal and vertically. The darkness in, around your house helps intruders in getting into the house as their activities are not seen. Keep proper light around the house for security of the house. In the grills the distance between horizontal and vertical bars should not be more than 3 inches. If the distance is less, the intruder can not cut grills’ bars by hacksaw and screw driver does not work due to less space. If the gap is less, monkeys or birds can not enter the house through grills when window shutters are open. Small monkeys are trained by intruders to go into the house and bring light articles such as purse, mobile, cash and watches etc. Open windows also helps intruders. They can climb through open windows and enter the house for theft purpose. They can watch materials and activities in the house through open windows. To avoid this close window when the room is not in use, and keeps curtains on windows. Keep valuable items with proper safety such as car should be kept in garage with proper lock and key. Similarly other valuable items should be kept in proper storage, not placed in open; which attract intruders. Plant ornamental /small plants near house. Do not plant trees near the house because they are helpful for intruders to enter the house by climbing through them. Thick bushes near house also help intruders for hiding. In today’s hi-tech world your home needs some extra high security systems to avoid theft and beat terrors. So make your home secure by providing grills, extra locks and by taking services of guards or dogs.